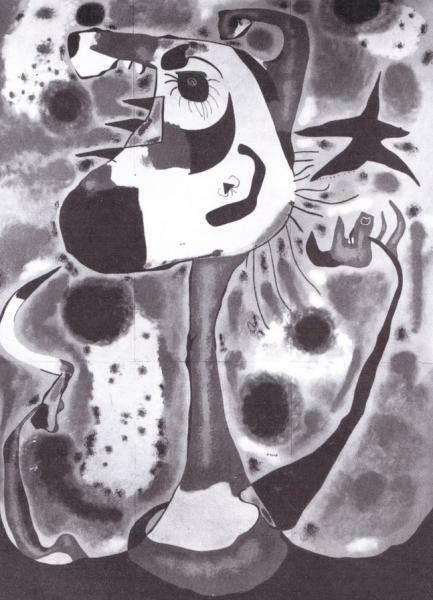 Born in Barcelona, Joan Miró (20 April, 1893-25 December, 1983) came into the world with a huge desire to paint - a desire his dad, a jeweller, did all he could to thwart, forcing him to attend school until he had a nervous breakdown. His parents then bought a farm at Montroig near Tarragona and took young Joan there to recover. 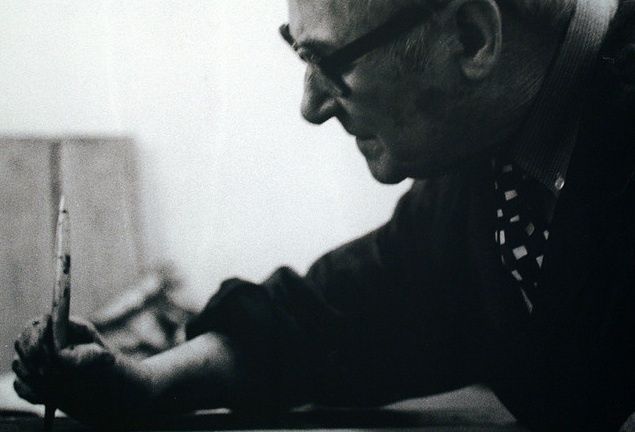 When they returned to Barcelona they let him use part of their house at 4 Passatge del Crèdit as a studio; it was so cramped that Miró had to crawl in on his hands and knees (and he wasn’t that big: one old friend described him as ‘an antediluvian glow-worm’). It has in it all that you feel about Spain when you are there and all that you feel when you are away and cannot go there. No one else has been able to paint these two very opposing things. In 1919 he went to Paris and spent time of the fringes of André Breton’s budding Surrealist movement. 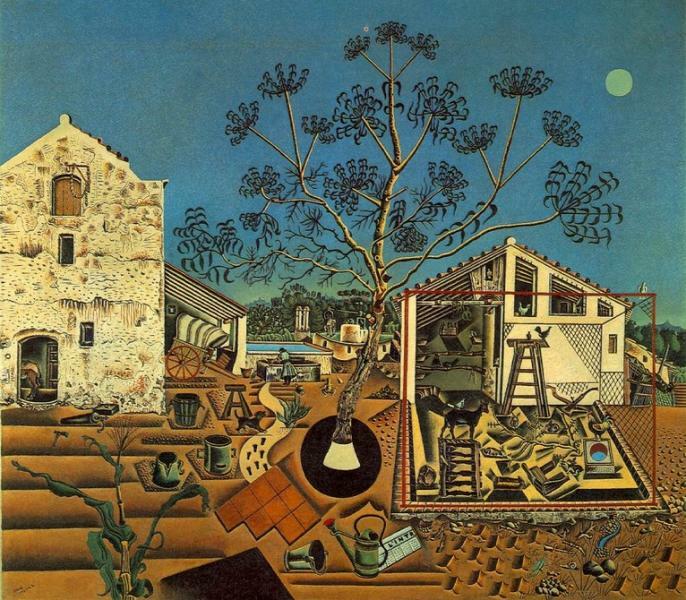 Unlike his fellow Catalan Dalí, Surrealism would prove to be only a stepping-stone for Miró, who went on to create his own playful and highly personal language to express the dream reality of the creative unconscious. He was very proud of being a Catalan, and claimed that the duality in his art—the tension between abstraction and representation— came from the seny i rauxa (common sense/practicality and uncontrolled passion) at the heart of the national identity. In the early 1920s Miró’s art moved from perceptual to conceptual came when he painted a series of still life objects in single-minded search for the extraordinary in the commonplace. A decade later, Matisse suggested that he try automatic painting, allowing his hand to guide him unconsciously—the result were the first great motifs in black paint that he filled in with colour. In 1936, Miró moved his family to Paris to escape the Civil War, and the next year was asked by his friend, architect Josep Lluís Sert to contribute to the Pavilion he was planning for the 1937 Paris Exhibition. As a call to arms, Miró painted a massive 18ft high mural called The Reaper, a cry of defiance and pain, inspired by Els Segadors or Song of the Reapers, the unofficial Catalan national anthem that came out of the Reapers' War, the great peasant revolt of 1642, although many viewers mistook the sickle for a Communist symbol. I painted on a scaffolding directly in the very space of the building. I first made a few light sketches to know vaguely what I needed to do, but… the execution of this work was direct and brutal. It was a remarkable work, but overshadowed by the even more astonishing Guernica. After the war it was dismantled and sent back to Spain, and either lost or destroyed in 1938. To the end of his life, Miró never stopped experimenting (he thought about creating gas sculptures and works in four dimensions). He is buried in the Cementeri del Sud-Oest on Montjuïc, leaving behind several works in his hometown- his delightful Fondació up on Montjuïc, designed by Sert, the sculpture in the Parc Miró, and a large mosaic medallion in the centre of Las Ramblas.